The Brinell hardness shall be determined in accordance with ISO 6506. The hardness shall be measured roughly 1 mm below the surface of the plate. The products made of this steel are suitable for cold bending provided, that consideration is given to the high hardness. 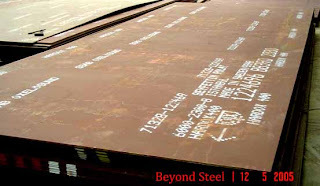 The formability of steel decreases with increasing hardness. This has to be kept in mind when forming. 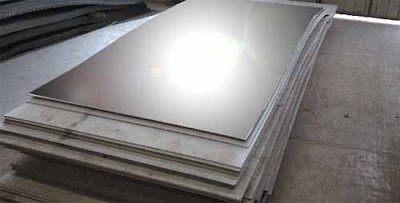 The forming must take place at a slow and steady rate, the cut edges must be deburred and the plates heated, if necessary, prior to the forming. A final stress-relieving is not necessary for this steel. Plates of the XAR 400 grade receive the required properties as a result of austenitizing and follow-on quenching in special facilities and, where applicable, tempering below Ac1. Direct quenching after hot-rolling is considered equivalent to conventional quenching. The heat treatment depends on the chemical composition and the product thickness. To avoid hardness losses, the steel must not be heated above 250 °C. Preferably the flame-cutting process is used. 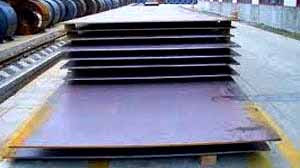 For small product thicknesses, however, the plasma cutting process is used in the interest of minimum distortion. Preheating is not normally necessary when flame-cutting thicknesses up to around 30 mm. However, if the workpiece temperature is below + 5 °C, or the cut edges are to be cold-formed in the course of further processing, preheating to about 150 °C should be considered in the interest of cold cracking resistance. 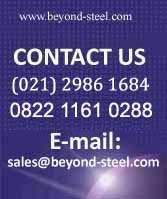 If due consideration is given to the general rules for welding, this steel is weldable both manually and automatically. To prevent cold cracking in the welded joints only welding consumables giving welds of very low hydrogen content should be used. Preheating is not generally necessary for welding with austenitic filler metals. Preheating may be necessary for welding with ferritic filler metals. The preheat temperature level for welding depends on the plate thickness and the residual stress state of the structure. The working temperature should not go beyond 250 °C. The wear resistance of components fabricated of XAR 400 may be increased with the aid of wear resistant layers deposited by means of welding or metal spraying. XAR 400 may be used at the discretion of the purchaser for wear-exposed structures, e.g. excavating, mining and earth-moving machinery, truck dump bodies, conveying, crushing and pulverizing equipment, scrap presses and paving moulds. The processing and application techniques as a whole are of fundamental importance for the successful use of the products fabricated of this steel. The processor/fabricator must assure himself, that his design and work methods are appropriate for the material, are state-of-the-art and are suitable for the envisaged purpose.